Just a quick hello from me, Mrs Rodgers. This has been my first week at Paull Primary and I have loved every moment! I look forward to continuing to teach class 3. Our theme for this term is ‘Tomorrow’s World’. We have already started to learn about space facts in our topic as well as having a mixed age art afternoon on Thursday. We are looking at science fiction stories and preparing and improving our descriptive phrasing ready for our first Big Write. We are continuing with daily reading and spelling activities. In PE, we will doing hockey and dance, and some videos of our dance routines will be posted so watch this space!. Science we will be learning about space and planets and stars. RE will be looking at sacred places and they’re significance to those that use them. In Geography we will be looking at the the environment and how we should care for it. Finally we will continue with our programming and using coding. So let’s get ready for the fun times ahead! Click on the box below to view the full message from the Families Information Service Hub. For young people with additional needs aged 14 – 25 and their parent carers. This year’s careers event will focus on the opportunities available for young people when they have left school. · The event will provide you with a chance to gain information about work experience, employment, further education, activities and many more services available to young people with additional needs after leaving school. · There will be activities for young people to take part in and enjoy socialising with other young people. · A chance to meet other parent carers and young people and gather information about services available to your family and how they can support you. · An opportunity to enjoy a relaxed day with pampering included. · Light refreshments will be provided, including tea, coffee and soft drinks. Please book by Monday 2 October 2017 stating any transport, and childcare needs. Limited places – book early to avoid disappointment! Transfer of Statements of Special Educational Needs to Education, Health and Care Plans (EHCP) – If your child/young person still has a Statement of Special Educational Needs and has not yet transferred over to an EHCP the process should be starting between September and December 2017. All Statements must be transferred by 1 April 2018. The school should now be planning a transfer review meeting to begin the process of transfer. If you still have a Statement please contact the school and ask when the process will begin. You can request support throughout this process through transfer from SENDIASS by contacting them on (01482) 396469 or if you would prefer support from a service independent of the Local Authority you can contact KIDS in Hull on (01482) 467540. The transfer process is a 20 week process and begins when the Local Authority have sent you a letter to inform you that the Statement will be transferring. The transfer is a re-assessment of your child/young person’s needs and should not affect the current provision they are receiving. If you have any questions regarding the process please contact SENDIASS on (01482) 396469. SEN & Disability Tribunal Types of exclusion. Time: 10am to 12pm – Help with childcare and travel costs may be available, please ask. · 16th October 2017 -Kevin Hall Director of public services and schools – Guest Speaker to include AGM. – East riding Leisure, Beverley. 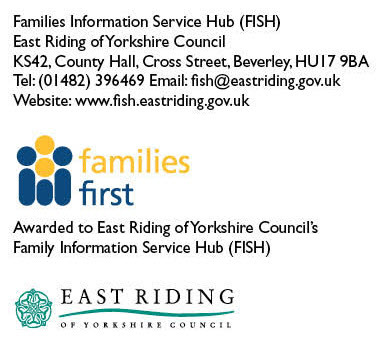 Don’t forget to comment on the draft strategy from East Riding of Yorkshire for children and young people with autism. Closing date 15/9/17. Please email your comments to: allyervip@hotmail.com we will then forward onto the strategy group. Beverley SEND support group – A drop in session for parents and carers with children with additional needs to discuss thoughts and share ideas to support you with your child’s needs. The session will be an opportunity to make new friends, be parent led with opportunities to invite outside agencies and professionals to share their knowledge and information of what’s on in the community to support families. Children of all ages are welcome at the sessions there is no age limit. We hope you are able to join us and look forward to seeing you. All Stars – a group aimed at young people aged 11-19 years who have additional needs. Come along if you’d like to make new friends and improve your social life. Take part in crafts, cookery, sports and other fun activities whilst being supported by specially trained staff. Children’s Disabilities Support Group (CDSG) – A parent run group that provides help, support and advice for families of children with special educational needs (diagnosed and undiagnosed). We have filled in many forms and have been through the Education, Health and Care Plan (EHCP) process. We have also had dealings with: school boards; special schools; CAMHS; and educational psychologists. Together we can provide invaluable information and support for each other. Dates: Every Thursday (during term time only). 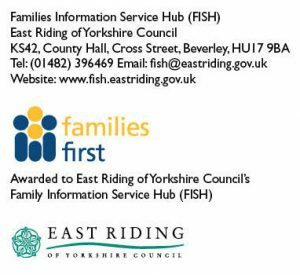 Driffield Parent Carer Support Group A drop in session for parents and carers of children with additional needs (aged 0 – 19 years) to discuss thoughts and share ideas to support you with your child’s needs. The session will be an opportunity to make new friends, be parent led with opportunities to invite outside agencies and professionals to share their knowledge and information of what’s on in the community to support families. Children of all ages are welcome at the sessions there is no age limit. We hope you are able to join us and look forward to seeing you. Meetings are for parents carers of children/young people with Autistic Spectrum Condition. Your child does not need a diagnosis for you to attend. Preston Toddler Group – Crafts, play, refreshments, singing & much more. Meet other parents/carers and have a chat. Time: 10am – 2.30pm – tea and coffee will be available but please bring a packed lunch for the mid day break. Support from Home Start is free and confidential, your volunteer visit will visit you at home once a week and will respect your privacy. Session for parents and guardians before, during and after diagnosis of Autism Spectrum Condition and related conditions. Our mission as a support group is to provide a friendly environment for us as parents to talk, share ideas, stories, laughs, tears and celebrate our children with people going through similar life experiences. All Stars Plus – Social activities for anyone aged 18 – 25 years, with an additional need or disability who lives in the East Riding of Yorkshire. Activities promote independence, healthy living & emotional well-being. The Hull Local Offer survey, phase one, ends on 15 September 2017. Please ensure that you take part to help shape the way the Hull Local Offer looks and the information/services it contains. The survey can be completed by young people, parents and professionals. To complete the survey please click here. Freedom to Explore – the Humber Museum Partnership’s under 5s Conference – This conference will look at how under 5s and their families engage with cultural environments and what the sector can do to develop and improve its offer. It will be of particular interest for anyone currently working with (or wanting to work with) under 5s within museums, galleries, cultural and heritage organisations; or within early years settings and schools. A diverse and inspiring programme is offered, featuring key-note speakers, research presentation, case studies from under 5s specialists and a range of practical workshops. Disabled Living – September 2017 Newsletter – click here. For the basic text version please click here. SEN Magazine – September 2017 Newsletter – click here to view online. The next bulletin will be on Thursday 21 September 2017. PLEASE NOTE IF YOU REQUIRE ANY INFORMATION TO BE ADDED TO THE BULLETIN CAN YOU SEND IT TO FISH BEFORE 12 NOON ON WEDNESDAY ????? THANKYOU. Special Stars Foundation – Sunday Club – Sunday Club is a sensory play session for children and young people with disabilities, and their families or carers. Special Stars Foundation – Inclusive Themed Fun Dance Session (Little Mix) – Local professional dance company Dance Dynamic will be providing these fun, inclusive, dance sessions with no expectations from the children/young people. These sessions are aimed at disabled children/young people that would struggle to attend a typical dance class. Any ability may attend, wheel chair users and siblings are more than welcome to come and join in the fun! Two enthusiastic instructors will lead with simple and fun dance movements for the children and young people to copy. There will be lots of encouragement and praise with small prizes/stickers given to all that take part. There will be will be chairs set up in the hall for parents/ carers to watch and chat to other parents/carers. Special Stars Foundation – Inclusive Football – An hour of Football Fun lead by 2 coaches for children and young people with disabilities. Followed by 30 minutes of hot and cold food for the children and young people. Everyone taking part will also receive a medal and certificate. Simple warm up games, easy to follow football themes and mini games such as kicking at a goal and dribbling. Aimed at children and young people that would struggle to attend a typical football session. Absolutely no expectations from anyone who takes part, there will be lots of footballs available for free play and it is situated in an enclosed and gated, indoor pitch. Siblings also welcome. Special Stars Foundation – Soft Play Exclusive Hire of Big Fun – Tickets are £2.50 per child which includes 1.5 hours of play. Money can be paid on the day, however you must book a place by emailing bookings@heyspecialstars.co.uk. We have exclusive hire of this soft play centre from 08:30am-10:00am on Monday 28 August for disabled children and young people up to around the age of 16. There will be reduced sound and lighting and sensory tents and apparatus. There is a disabled toilet and a Changing Places facility in the shopping centre, but not in Gravity itself. There is ramped entry into the venue but there are at least 8 steps up to the main trampolines. Trampolines are small and children will need close supervision from their parents and carers throughout the session, although there will be staff from Gravity and Special Stars Foundation supporting the session. If you don’t already have them, you will need to purchase socks from the venue to be able to jump, these are £1 per pair and can be bought at reception on the day. Please email bookings@heyspecialstars.co.uk to book (booking is essential) payment can be made in cash on the day of the sessions. Special Stars Foundation – Farm to Fork Afternoon – Tesco Hall Road are kindly delivery a FREE and fun ‘Farm to Fork’ afternoon for us; First a talk on healthy eating and sugar, then make some healthy pizzas, and then on to showing the children how to make their own healthy muesli which they can make a sample to take home with them. The children will also get a bag with activity book and certificate to take home. Limited places available.